Example: If the distance between Goa to Delhi is 750 km. 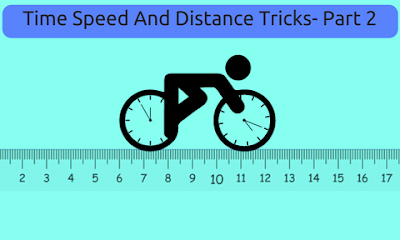 A person goes at a speed of 60 km/h and returns at a speed of 40 km/h. 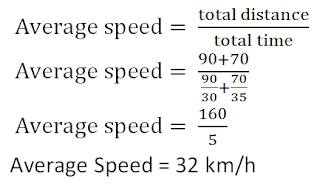 Find the average speed. 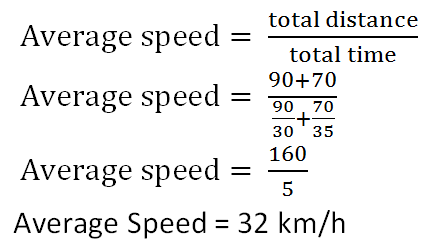 Example: If the speed of the bus is 30 km/h for the 90 km and 35 km/h for the distance of 70 km. 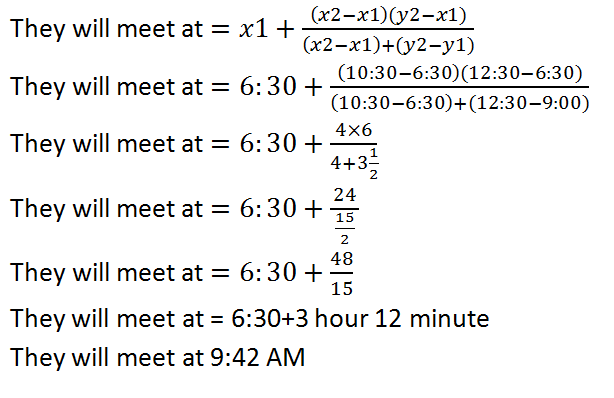 Find the average distance. 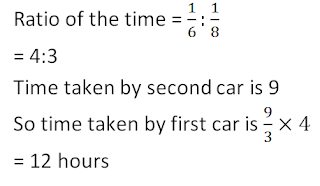 Example: The ratio between the speed of two cars is 6:8. 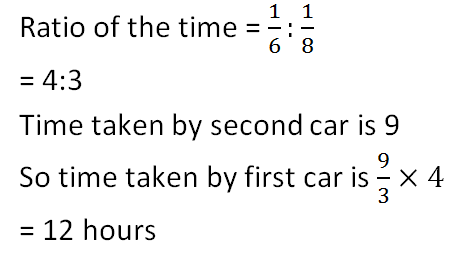 If the second car covers a certain distance in 9 hours, then find the time taken by the first car to cover the same distance. 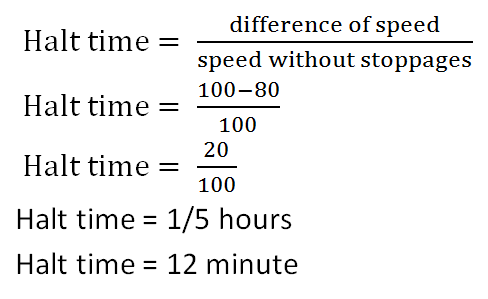 Example:A man running on a road without any stoppage at an average speed of 100 km /hr, and he covers the same distance with stoppage at an average speed of 80 km/hr. How many minutes per hour does boy stop? 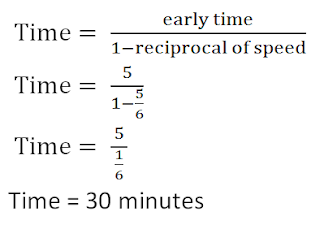 Example: Walking at 3/4th of usual speed, A person is late by 10 minutes. Find the usual time. 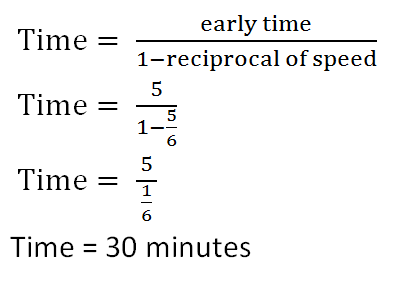 Example: Walking at 6/5th of usual speed, A person reached early by 5 minutes. Find the usual time. A & B start moving towards each other at same time. After meeting each other, they reach their destinations after ‘a’ and ‘b’ hrs respectively. Example: Two trains, one from Delhi to Pune and the other from Pune to Delhi, start simultaneously. After they meet, the trains reach their destinations after 4 hours and 9 hours respectively. What will be the ratio of their speeds? Example: A train leaves from Bombay at 6:30 AM and reaches Jaipur at 10:30 AM. Another train leaves from Jaipur at 9 AM and reaches Delhi at 12:30 PM. When they will meet? 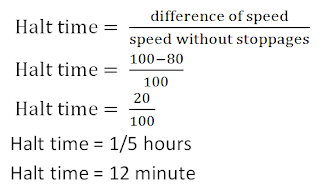 Example: Suhail and Meetu travel from point A to B, a distance of 48 km, at 7 km/ h and 9 km/ h, respectively. 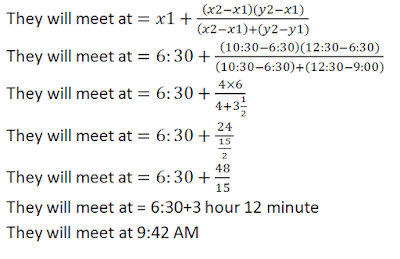 Meetu reaches B first and returns immediately and meets Suhail at R. Find the distance from points A to R.
(i). 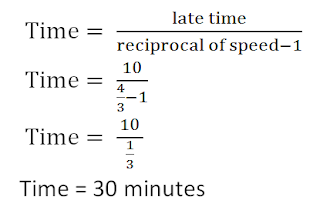 If two objects are moving in the same direction with the speeds of a km/h and b km/h then their relative speed is |a‐b|. (ii). 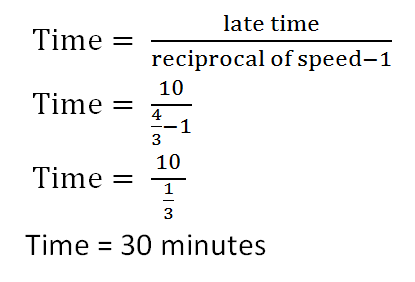 If two objects are moving in opposite direction with the speeds of a km/h and b km/h then their relative speed is (a+b). 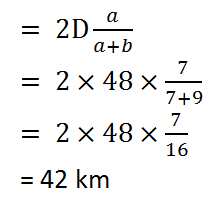 Example: 2 men A and B started from a place P walking at 4 km/h and 3 km/h respectively. How many km will they be a part at the end of 1 hour? (i) If they walk in the same direction. (ii) If they walk in opposite direction.